Last year I had the chance to capture this shipwreck scenery in a beautiful evening mist. Now the shipwreck has been pulled to the shore.. The light from the left actually comes from a construction hall of some kind. The moon silhouette behind the clouds was a great detail in the final shot. Nikon D800, Nikon 16 - 35 mm f/4.0 VR & Sirui R-4203L tripod with K-40X ball head. ISO 100, 29 mm, f/4.0 & 30 sec. 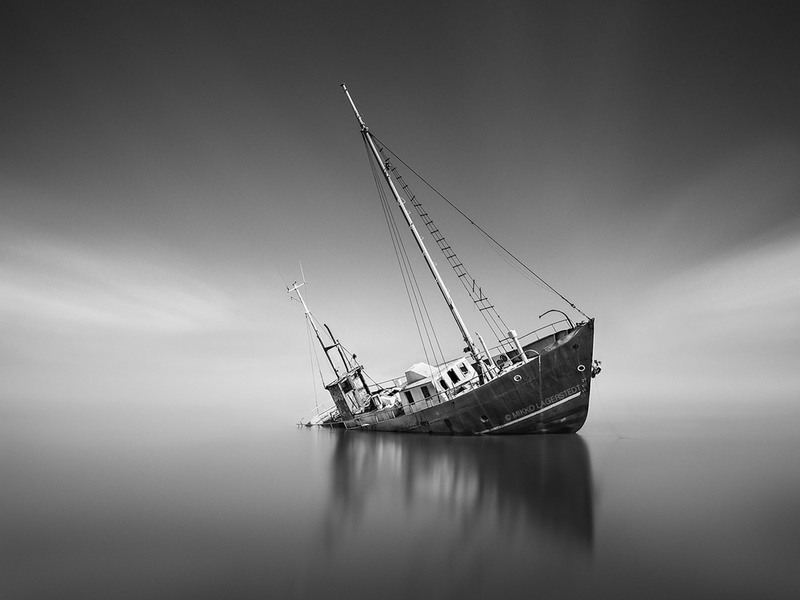 A long exposure of a shipwreck. I would be glad to get feedback what kind of tutorials would you like to see from me. Comment below if you have suggestions! ISO 100, 869 sec., f/10, 35 mm. Hoya ND 400 and B&W 10 stop neutral density filters.